The multi award winning Dusit Thai has been an institution, offering authentic and traditional Thai food in Perth since 1988. Take a look around Dusit Thai and you will find yourself in Thailand with the ambience and opulence of Thai decor and interior. The restaurant is also very spacious and there are plenty of tables available to accommodate diners walking in. I was there on a Saturday and didn’t have to make a booking (I do recommend a booking if it’s a large group). We had a Small Seafood Tom Yum Soup ($12.50) to start off with. 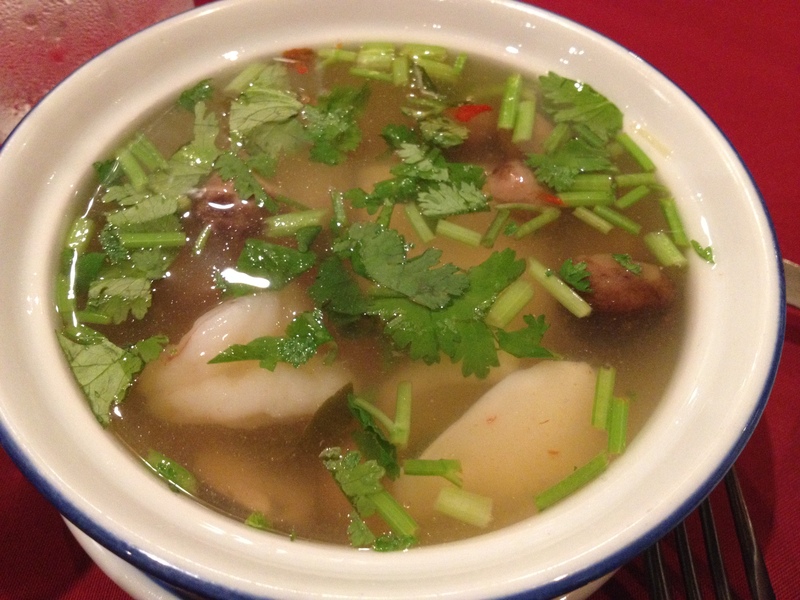 Tom Yum is a hot and sour soup infused with lemongrass, kaffir lime leaves, mint and galangal with or without chili. The Tom Yum soup was really good! It definitely had a chili kick with a nice aroma and balance of fresh flavours. There was also a generous amount of fresh seafood swimming around in the Tom Yum Soup too. Not long after, our mains arrived. We had the Lamb Rack and a Red Duck Curry. 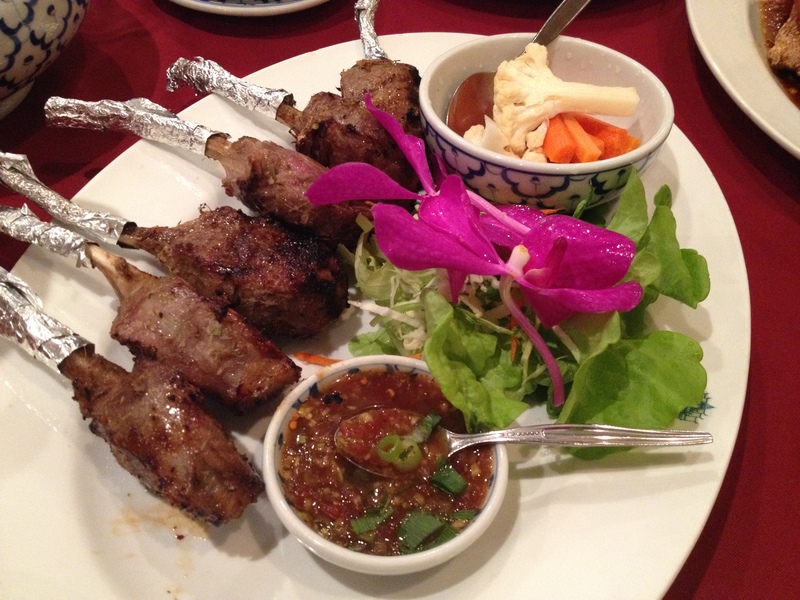 The Grilled Lamb Racks ($36) were marinated in Thai herbs and served with Nam Jin Jaew (Thai Dried Chili Dipping Sauce) and pickled vegetables. The Lamb Racks was cooked to perfection and the meat was soft and tender. It was marinated very well and was very flavoursome! Together with the dipping sauce, it added a punch of flavours to the lamb rack. Many years has passed and Dusit Thai still remains as one of Perth’s well loved Thai restaurant, which is why my family and I always go back to Dusit Thai for their food. There is also large variety of choices to choose from on Dusit Thai’s menu so you can always try something different every visit. Service, as usual was efficient and friendly. 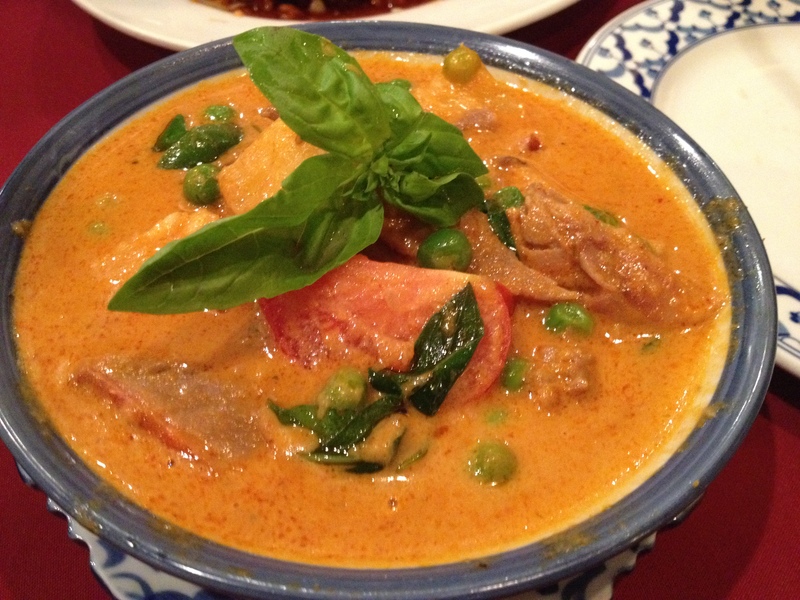 For some authentic, delicious and mouthwatering Thai food, why not give Dusit Thai a try?